SRC: Swerep Racing Corp Belted Monster truck tires. Road Crusher! Our cast moulded tires are known for near perfect balance, therfore last loner, more traction on tracks than injection moulded tires. RACE AT YOUR OWN RISK. 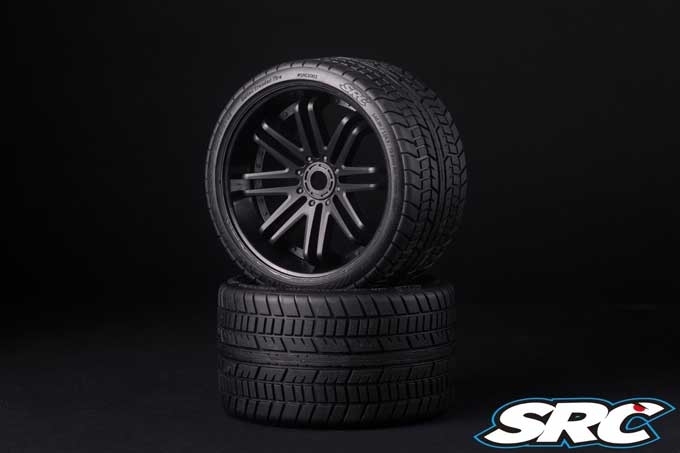 : Just like any other R/C tires we distribute, we do not guarantees, warranty or nor expressed "rating" on any of our SRC M/T tires. All because , the nature of High-speed motor sports we are all involved to. This is it! Sweep's Racing Belted Rubber know-how injected to a huge tire! 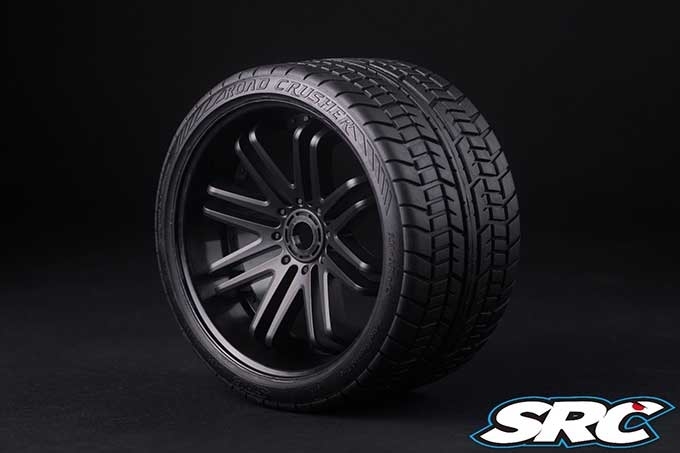 Tire: Sweep's own rubber mixture perfected over a year of R&D at the US facility. Wheel: 17mm Hex, 1/4" offset, made out of Sweep's top secret ROK Hard strong material. Pre-glued on our ROK strong wheels. I want to thank Sweep Racing for developing these tires. They are amazing! I've hit 97 mph with them and they handle very well. They have zero ballooning and none of them have come unglued or anything, they're perfect. These are the best on-road tires on the market period, for 1/8 truggy and monster truck.